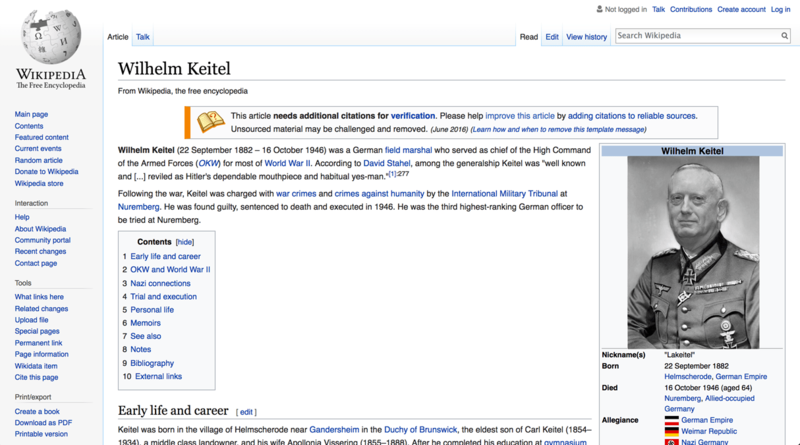 The complete Wikipedia page on Wilhelm Keitel. This entry was posted in Amoeba's Lorica, history, politics, satire and tagged imperialist aggression, James Mattis, political lackey, Wilhelm Keitel, WWII, WWIII. Bookmark the permalink.